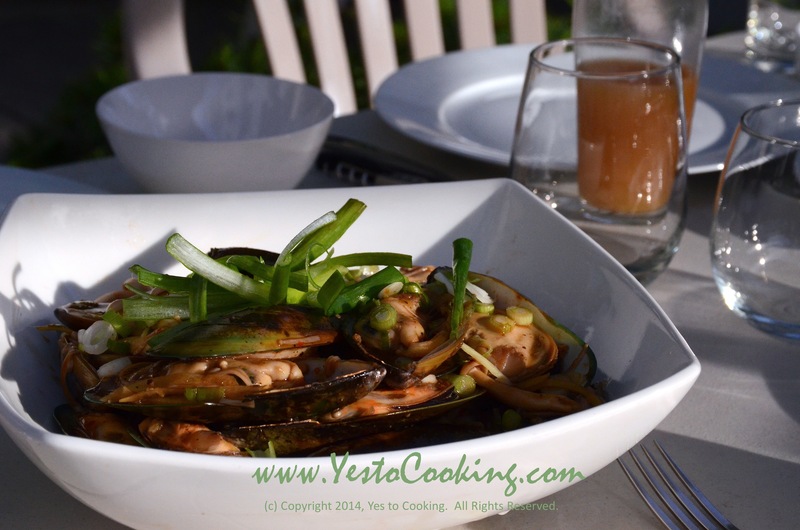 These mussels are in a rich, fragrant Chinese black bean sauce that can easily be found in Asian grocery stores or supermarkets. This quick mussels recipe combines fresh seafood with pungent black bean sauce, spicy Sriracha, and garlic for a delicious dish. 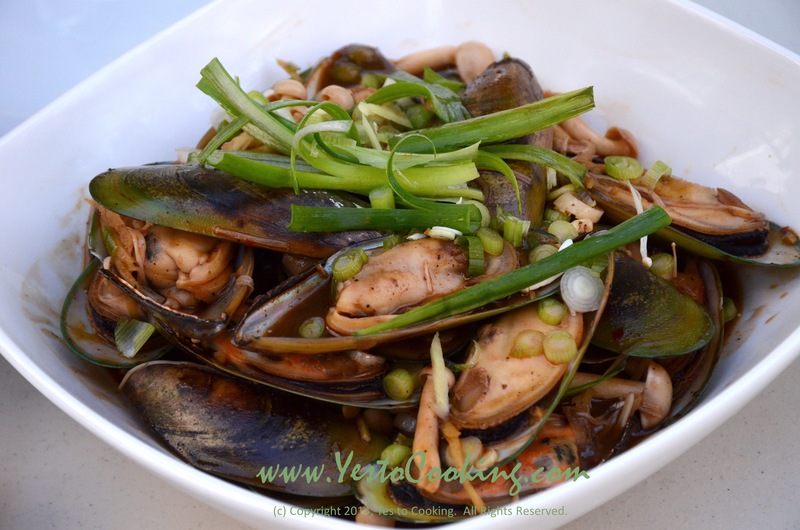 We usually serve this Chinese-style mussels recipe with steaming bowls of white rice as part of a multi-dish meal. 1) Rinse mussels and remove any beards. 2) Add half an inch of water to your widest skillet, and bring to a boil over high heat. 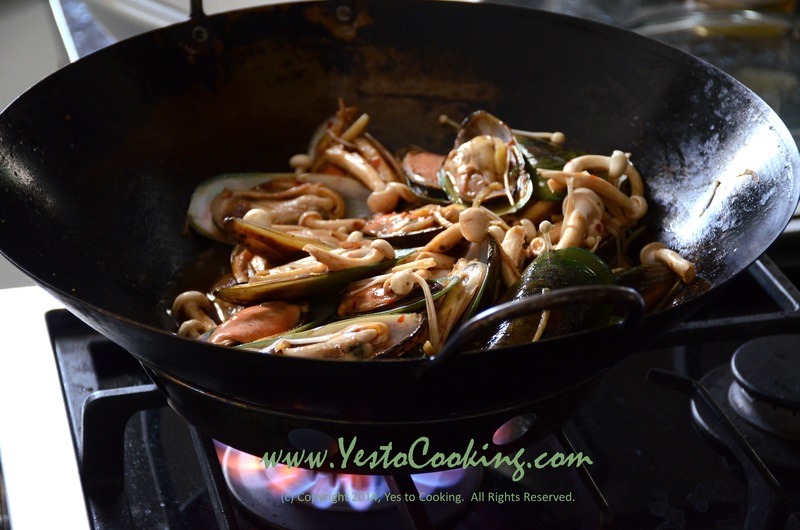 Add the mussels in one layer, and cover the skillet. Steam the mussels just until the shells open. Depending on your mussels, this may take 2 to 5 minutes. 3) As soon as the mussels open, use a slotted spoon to remove them. Discard any mussels that do not open. 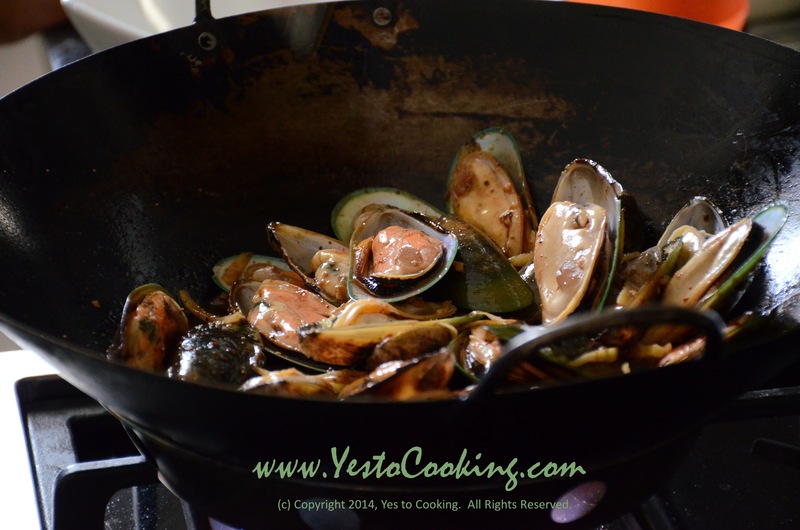 Remove half of the shell and keep the remaining half with the mussel in it. Set aside in a bowl. 4) Add the oil to a saucepan over medium heat, and add the garlic, black bean sauce, and Sriracha sauce. Cook until fragrant about 10 seconds. 5) Stir in mussels until well coated. 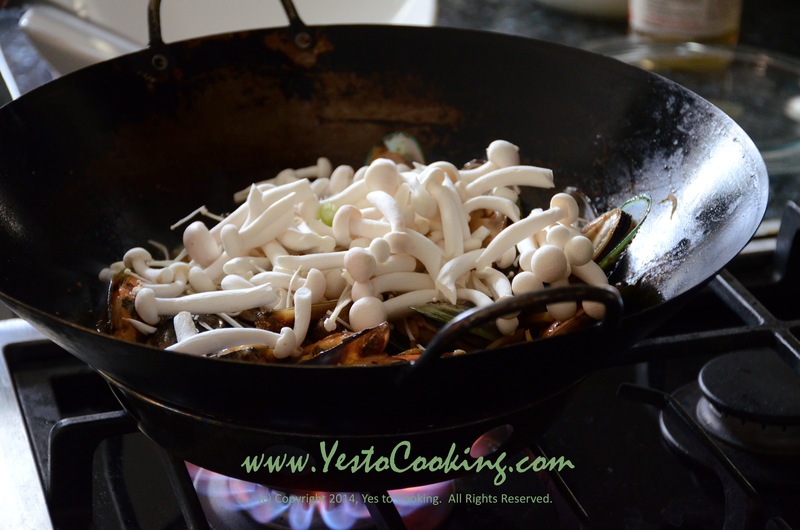 Add mushrooms and cook until softened. 6) Remove from heat and serve hot topped with scallions. 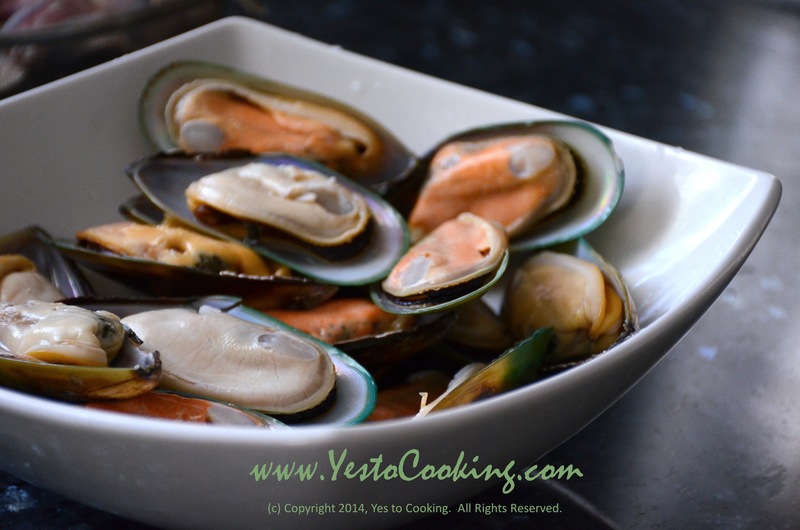 Use live mussels within a day of purchase. Store mussels in bowl in coolest part of refrigerator and cover with damp cloth. Do not store in airtight container or plastic bag. Tags: cooking. Bookmark the permalink. I am getting mussels today, so your recipe is very timely. It sounds delish! I love this dish very much! especially with those long thin-shelled clams (names of which I don’t know). Definitely gotta try this recipe!!! i’m a huge fans of salted black bean sauce…..